Briefing Bring my armband to Elder Baruhi at The Tree of Memories and tell him of my intentions. I have been a Ranger of the Anvil for all my life. I thought it a noble calling, to protect the forest that nourished my tribe. But now I see that it is not enough. The Bane threaten more than my forest, my tribe. If unchecked, they will bring ruin to the entire galaxy. I must fight them. Those who do not punish evil, command it to be done. My path is clear. I will leave the Order of the Anvil and enlist in the army of the Allied Free Sentients. I will become friend to YOUR tribe, tal kamahdi. I will call you brothers. 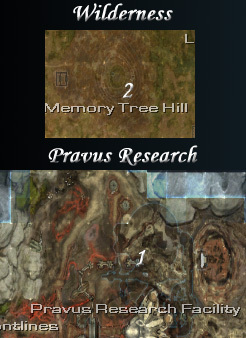 Bring Ranger Nylla's armband to Council Elder Baruhi at the Memory Tree. Harms targets in a 15m radius for 50 to 150 points of EMP damage. Restores 110 Health over 5 seconds with a re-use delay of 10 seconds.